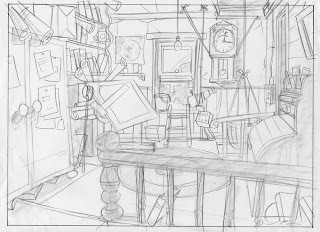 Here is a rough for a BG. It is meant to be hap hazard and messy but all ready in this rough sketch all the details are pretty much there. the work of Mr Janes.